We’ve mentioned our new favorite pet rescue, Positive Paws Rescue Transport, a few times over the past year. The staff are genuinely good people, and they work tirelessly to better the situation of as many dogs and cats as they can. As we hovered around the edges and watched what they did, helping out a little here and there as we could, we decided that this was definitely an organization that we wanted to help, if we could. So we created a tea for them. 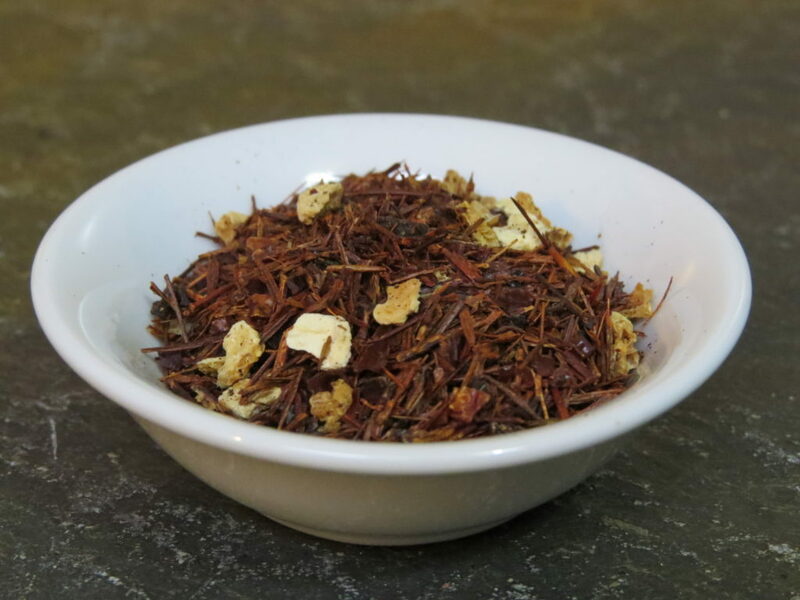 We began with Rooibos, because it was the tea one of the first two people we met at Positive Paws preferred above all others, and then chose the flavour ingredients with an eye to both taste and to safety for companion animals. 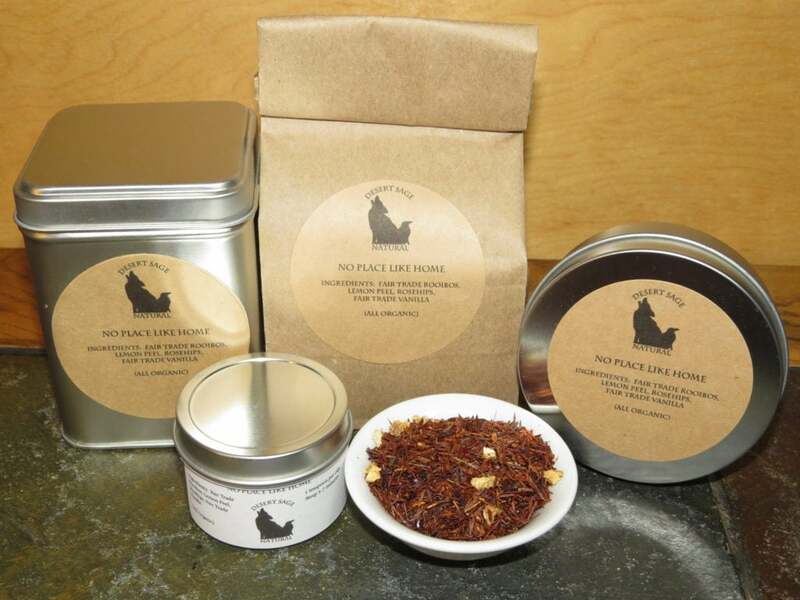 With ‘No Place Like Home’ you could actually share a pot with your pup, if you so chose. We added rosehips and lemon peel, with enough vanilla to gentle the bite of all that lovely Vitamin C.
The name of this tea came to mind fairly swiftly. The look of it made me think of Dorothy’s Ruby Slippers, and the mantra “There’s No Place Like Home.” The wish of every rescue dog and cat is to make it to a good home. *edit 11/8/17* Sadly, the rescue this tea was originally created for went under. However, Viva New Mexico Rural Animal Rescue had been one of their partners originally, and they stepped in to take over the dogs PPRT had been caring for. As we still love dogs, and still want to support the committed people and organizations who try to help them, this tea will now donate to Viva. This entry was posted in ChariTeas, Floral, Fruit, Red (Rooibos) Tea, Things We make (Tea, Coffee, Cocoa) and tagged ChariTeas, Organic Fair Trade Vanilla, Organic Floral Tea, Organic Lemon Peel, Organic Rooibos Tea, Organic Rose Tea, Organic Rosehips, Organic Tea, Positive Paws Rescue Transport, Viva New Mexico Rural Animal Rescue by DesertSage. Bookmark the permalink.